Please click to see our Adoption Policies for further information regarding adoption, ownership program, etc. Click here to download our Foster Brochure. Are you ready to adopt or foster? 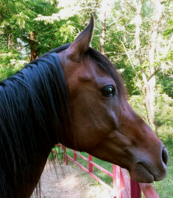 Fosters get a tax deduction for feed and routine vet / farrier care! Fill out our adopt/foster form and email it to our adoption coordinator. and see if one of them is right for you! Thank you for considering our HERO horses. We try to make a good match to ensure that they have a forever home. Meet Scarlett! 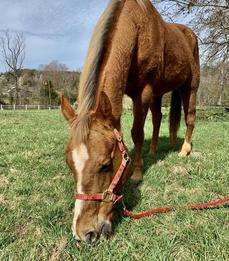 Scarlett came to HERO from a horrific abuse situation, but has transformed from a defensive, mistrustful, and malnourished little filly to an inquisitive, beautiful mare. 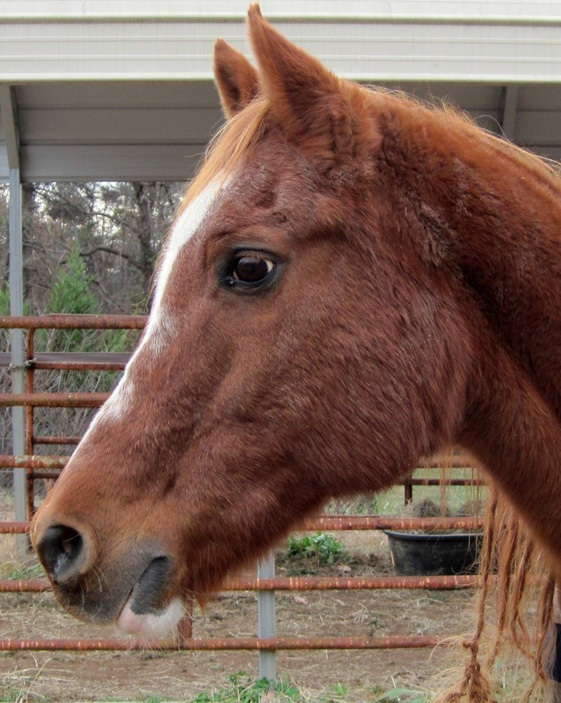 We estimate her to be about 3 years old, and she stands at ~14.2hh. Like her younger brother Rhett, she is a finer build so will not be suitable for a large rider. Though she has come a long way since being taken in by HERO, she is still reactive at times so is not suitable for an inexperienced individual. 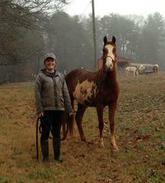 She has had a lot of ground work and trailer loads, but has not yet been started under-saddle. Scarlett would be best suited for someone in a quiet setting, looking for their next “project,” who has the time, experience and patience to develop her. Her athletic build and willing nature will make her well suited for many disciplines! Meet Ruby! 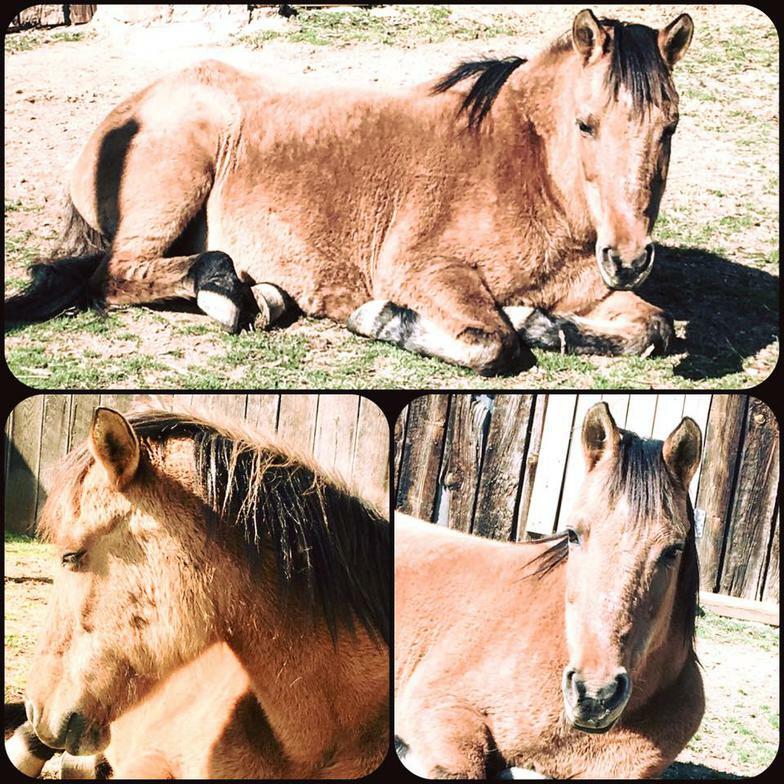 This sweet mama of 2 is looking for her forever home with someone willing to help her build up her strength and get her in riding-shape. 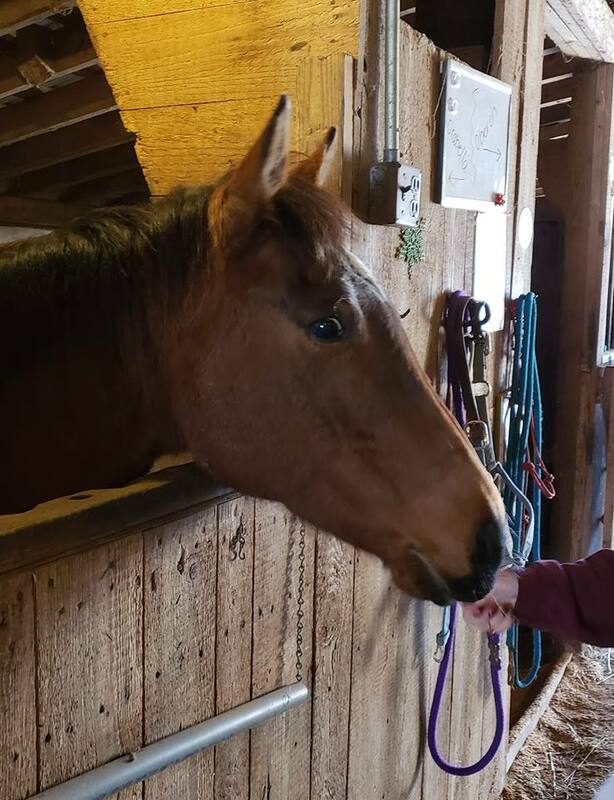 We believe she has been ridden before, and we have been working with her on the ground since she arrived at HERO to improve her manners and get her confident with things such as holding her feet for the farrier. She is very friendly and not many things scare her. 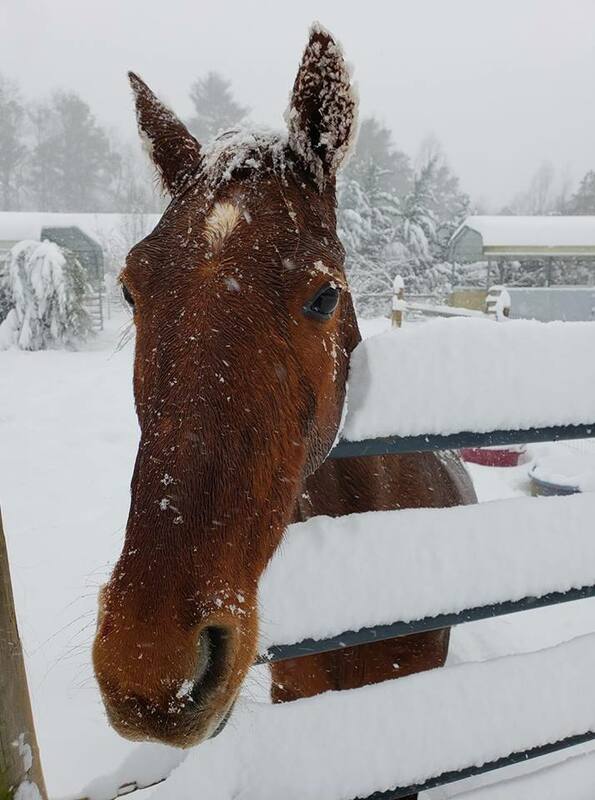 We believe her to be about 10 years old, and she would likely be well-suited to trail riding or low-level dressage or jumping. Meet Flame! 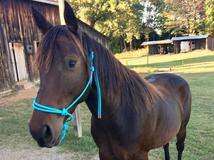 This sweet mare will make an excellent pasture companion for someone. She is in her mid-twenties and requires soaked feed due to some missing teeth, but otherwise is in excellent health.